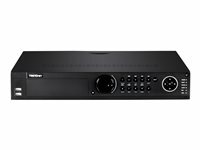 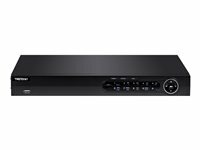 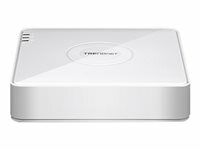 TRENDnet’s standalone 8-channel H.265 PoE+ NVR, model TV-NVR408, offers a comprehensive rack mountable camera management solution. 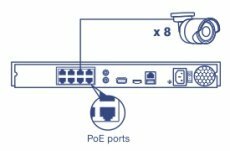 The NVR networks and powers up to eight PoE cameras*. 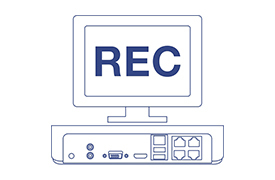 Install up to 12TB of storage (hard drives not included) to record over one month of continuous video from eight 1080p HD PoE cameras**. 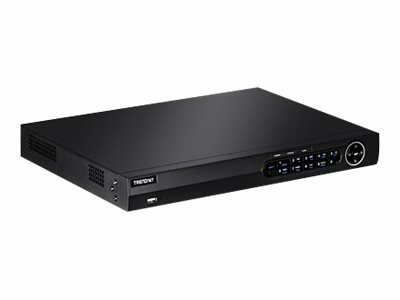 The TV-NVR408 features advanced video playback and comes with a free iOS®/Android™ app. 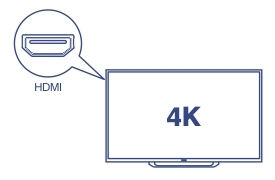 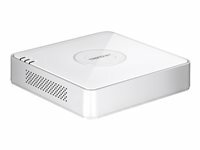 Connect a 4K display to the HDMI interface to view one 8MP 4K UHD camera channel.